If you're interested in improving your life, being happier, or more effective as a manager, this book is for you. You could use it as preparation if you are going to attend an NLP training course, or you could use it to get some practical benefits from the NLP principles even if you never intend to go in a classroom again! When I train NLP courses, I've often noticed that major realisations or 'Aha!' moments for many participants often come quite early in the course, when they learn about the 'presuppositions' or principles of NLP. So before the participants have had a chance to learn much in the way of 'technical' NLP skills, and certainly before they've had a chance to practice enough to get good at them, they're already seeing the potential for big improvements. I've come to believe that the most useful thing about the principles of NLP is that you can use them to make your life better, without any formal training or skills in NLP. Obviously you will get even better results if you do get some training and develop some skills, but acting â€˜as ifâ€™ the principles are true will still help you. This is because the principles are an attitude and a way of looking at the world which you can regard as a set of instructions for success. 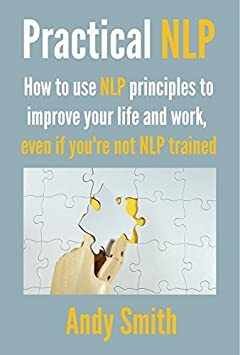 This book explains 12 principles of NLP, each with practical tips and exercises that you can use straight away to get new perspectives on life, relationships, work and success.